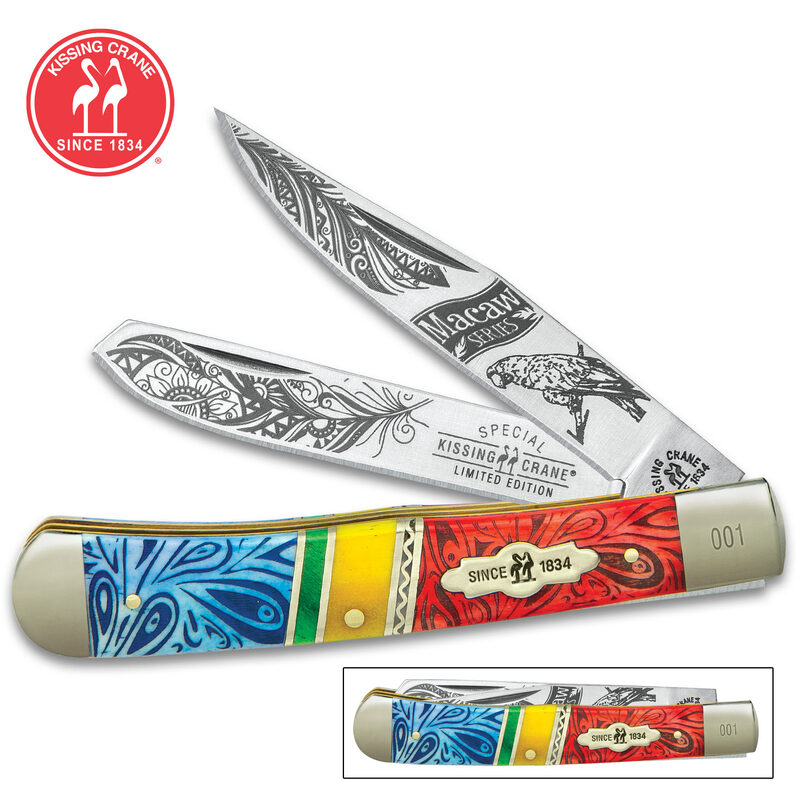 The limited edition series Kissing Crane Macaw Trapper Pocket Knife takes its design from the vivid plumage of the Macaw - a bird of the Tropics. 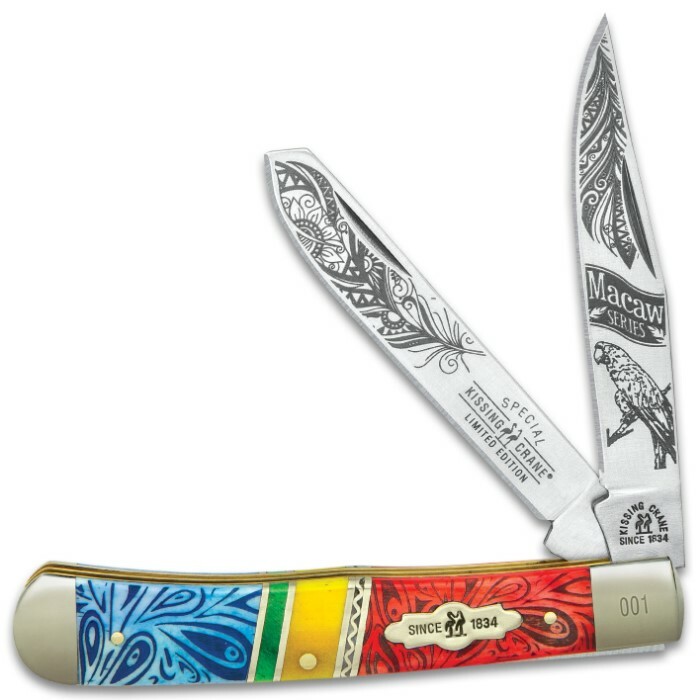 The trapper has two sharp 440 stainless steel blades, which feature Macaw themed etchings and our limited edition stamp. 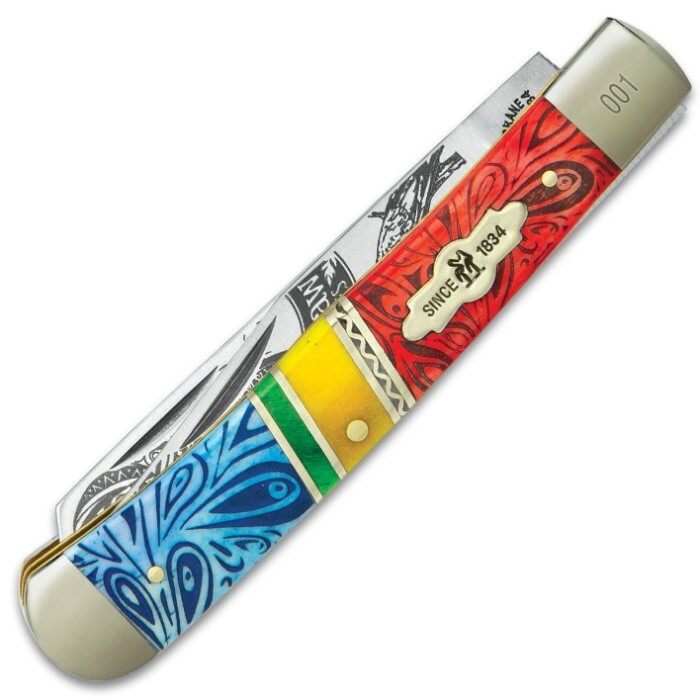 The handsome handle is of genuine red patterned bone and blue bone with yellow, green and brass accents. Brass-plated pins, nickel silvers bolsters and the classic Kissing Crane cast shield complete this exquisite design. Each one is laser serialized on the bolster.